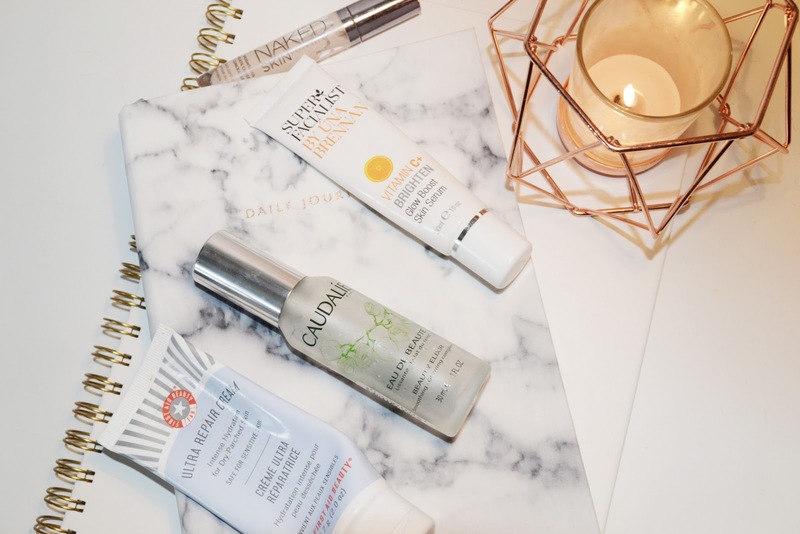 Welcome the second post in my product empties series, as I stated in my previous one I have got a lot to work through as I have been saving these for the better part of a year. I have broken them down into four blog posts, you can see my first blog post here. However, this is the second part! The first empty item I have to share I actually have two of and it’s the Una Brennan Vitamin C+ Glow Boost Skin Serum (what a name!). I love this brand and this particular line, as it helps to brighten and moisturise the face. This serum helps me to feel awake and I am pretty sure I have got through more than two of these! The next product is the Urban Decay Naked Skin Concealer in the colour Fair Netural. I didn’t like this concealer as I felt it was quite drying and set into the fine lines under my eyes. I‘d heard so many good reviews on this concealer but it just did not work for me, but I did use it up because it was super light! Just what I was after, however, if you are looking for a good concealer that is cheaper, but still is super pale, then I would definitely recommend the Collection Lasting Perfection Concealer in the shade 1. The third empty I had was the First Aid Beauty Ultra Repair cream, I loved this. I have used up a big tub and also this tube size. The only reason I stopped using it was because of the price and I wanted to try something slightly cheaper. This particular cream I love for when my skin looked particularly parched, it is extremely moisturising and feels amazing on the skin. Next up is the Caudalie Beauty Elixir, again this is a product I have bought many of. I only ever purchase the travel sized one as it is great value for money. I always pick it up from Space NK when I am in Bath and love to apply it straight after washing my face and then also if I want a pick me up during the day. The final product I want to mention in the Rimmel London Wake Me Up Wonder Full Mascara. I have put this into this post as it is actually a product that I regret purchasing. I didn’t feel that it made much difference to my lashes, I like my mascara to lengthen and thicken my lashes whilst still looking natural. This did neither so I would not purchase it again. What is your most used product of all time?